You can expect a well executed inspection performed by Forever Home Inspection. We will provide you with important information to empower you with confidence in the home buying decision making process. A home inspection is a non-invasive, visual examination of the accessible areas of a residential property, which is designed to identify defects within specific systems and components of the home. Basic home inspections will not reveal every defect of a home. Inspections are based on the observations made on the date of the inspection, and not a prediction of future conditions. An inspection is an excellent way to discover the overall condition of a real estate property. It is vital to conduct a home inspection to avoid any potential costly mistake of investing in a property that may be in need of major repairs. A good inspector will help you understand the condition of the real estate property that you are inquiring about, and empower you, alongside your real estate agent, to make the best investment/purchasing decision for you. The more of the property inspected the greater knowledge you have of the property. Our recommendation is that every buyer should have our Buyer Inspection completed. Also, there may be additional aspects of the property that need to be inspected, for example: detached buildings, outdoor kitchens, pools, septic systems, and water wells. These elements of a property may call for additional fees and can be discussed prior to date of inspection. Our consultation process will help the home buyer navigate the process of selecting the best home inspection for them. DOES A HOME INSPECTION INCLUDE A TERMITE INSPECTION? Typically, home inspections and termite inspections are separate and individual services. Forever Home Inspection does not employ a termite inspector. However, we understand that your time is valuable! For a fee of $25 we will schedule a termite inspection on your behalf with one of our trusted providers that will take place during your already scheduled home inspection. *We can also schedule additional providers on your behalf, such as: structural engineer, septic inspection, roofing inspection (permitting major defects are found), electrical inspection (permitting major defects are found), plumbing inspection (permitting major defects are found), hvac inspection (permitting major defects are found). All fees are always communicated ahead of time. We will never schedule a service on your behalf without your consent. There is a $25 fee for scheduling other providers. It is hard to say how long the inspection will take. 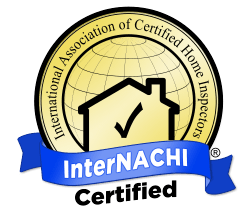 Forever Home Inspection will provide a thorough inspection. The time it takes depends on several factors and will be discussed prior to inspection date. An average inspection lasts from 90 minutes to 3 hours. How Soon Will I Receive My Inspection Report? We aim for 24 hours, but guarantee it by 48 hours. We are extremely efficient with reporting and have an excellent report writing system that allows all data collected to be transmitted and published in a timely manner. Please click the sample report button below to view a sample report and see additional information. Will the Real Estate Agent Be Present During the Home Inspection? Yes, most agents will be present during the inspection process. The typical parties involved are the home buyer, home buyer's agent, and the inspector. Will the Seller Be Present During the Home Inspection? It's common practice that the seller is not present during an inspection, however, the seller does own the property and whether to stay present, or not, is ultimately their decision. Ideally, the seller prepares the property for inspection by having the home tidy and making all areas of the home accessible to the inspector. What Can I Expect to Pay for a Quality Home Inspection? Our inspection prices are based upon square footage of a home plus the time it takes to write your report, and any additional services rendered. Please see our Services Page for specific pricing information on each type of inspection we offer. - Also, there may be additional aspects of the property that need to be inspected, for example: detached buildings, outdoor kitchens, pools, septic systems, and water wells. These elements of a property may call for additional fees. - Please note, there is a $25 travel fee for inspections located a distance more than 30 miles from our office.